Somehow I've already made it to 21 weeks! I can't believe it. Time is flying! 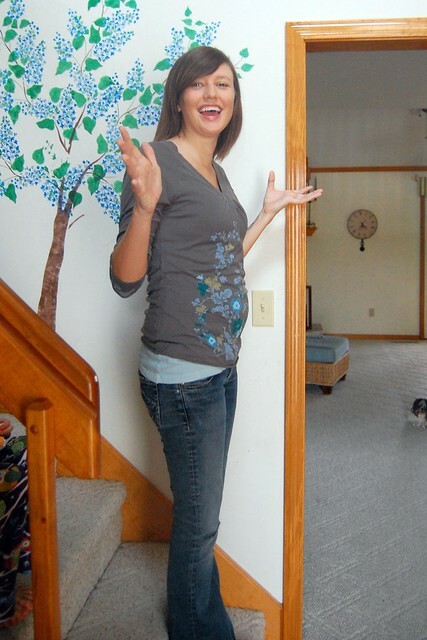 I'm feeling great and doing very well so far this pregnancy. I'm quickly (yet cautiously) falling into deep professional like for my OB, even though I miss Dr. G. Dr. C, however, seems to be a great fit. He is totally on board with everything I was thinking about this pregnancy and delivery, and he describes himself with the words "proactive and conservative," which I absolutely love. While I have started on insulin injections recently, it was totally expected since I was insulin dependent with both Seth and Evany, and it's going great. That's basically the only complication I've had at this point, and I'll take it! One of the things I was most excited about was that I could con Jordan (my cousin) into taking my belly pictures for me so I wouldn't have to do all the mirror/camera shenanigans. What I didn't factor in was that Jordan and I are basically laughing fools when we're together and we apparently can't accomplish anything without making jokes about it and falling down laughing. So it took a few shots to get a good picture. In this one I asked if I looked like a giant looking down on her standing on the step above her because she's super short. She said "Probably. Plus you keep sticking your hand in a weird spot." This was me saying "Why would you not tell me that? Just tell me what to DOOO!" And finally, an acceptable belly pic. 21 weeks! 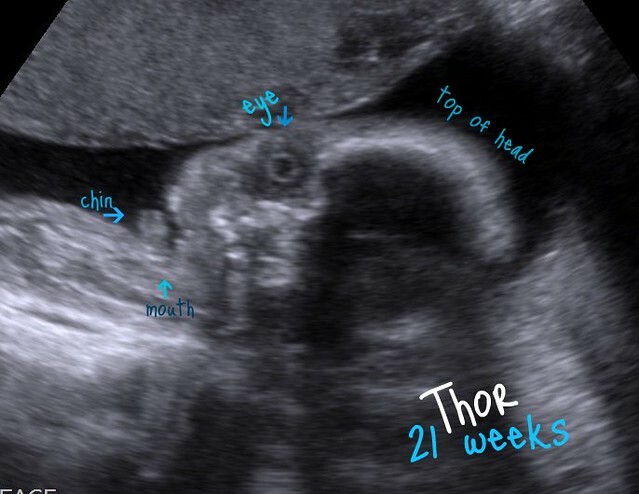 Then I headed off to an ultrasound and OB appointment where I learned that the baby is still definitely a Thor and he is perfectly healthy and measuring just a few days ahead. Then I went to chat with Dr. C who told me about how he and a pharmacist friend had been figuring out a workaround for the Progesterone price hike issue I mentioned recently. That makes today a very good day! And here is Thor in all his glory...I love this sweet boy already and I am thrilled that he is doing so well and staying put so very nicely. Go Thor! 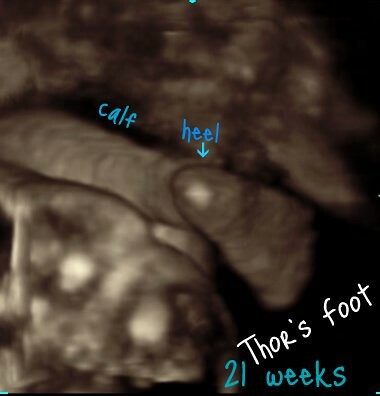 Isn't that an adorable foot?